Food Trucks are really popular here in Columbus, and last Friday there was a Columbus Food Truck Festival dedicated to the food trucks of Columbus. 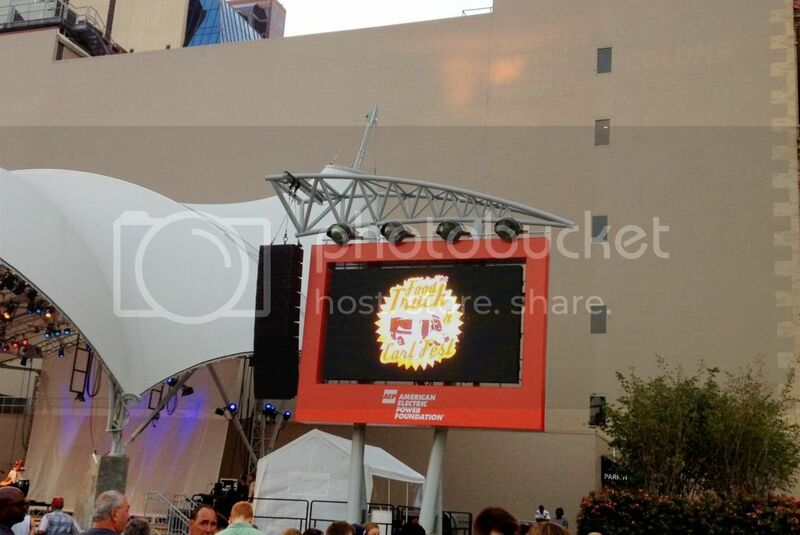 This was actually the 2nd annual Food Truck Festival. I found out about last years festival like a week or two after it took place and was bummed I missed out on it. I have been waiting all year for this festival to take place and was so excited that I was able to attend. I really had no idea what to expect. The festival started at noon and went until 10 pm. We had to work that day and weren't able to get downtown until about 7 pm. I was a little nervous that the trucks were going to start running out of food, but I was hoping that they were prepared for the festival and since there were going to be a ton of trucks that there would be enough options for everyone. I was really shocked at how many people showed up. There were a ton of trucks, but the lines for the really popular trucks were so long! We were hoping to try a few things from different trucks, but we stood in line for about a half hour to 45 mins each for 2 different trucks and it was starting to get late, so we were bummed that we only got to try 2 trucks. 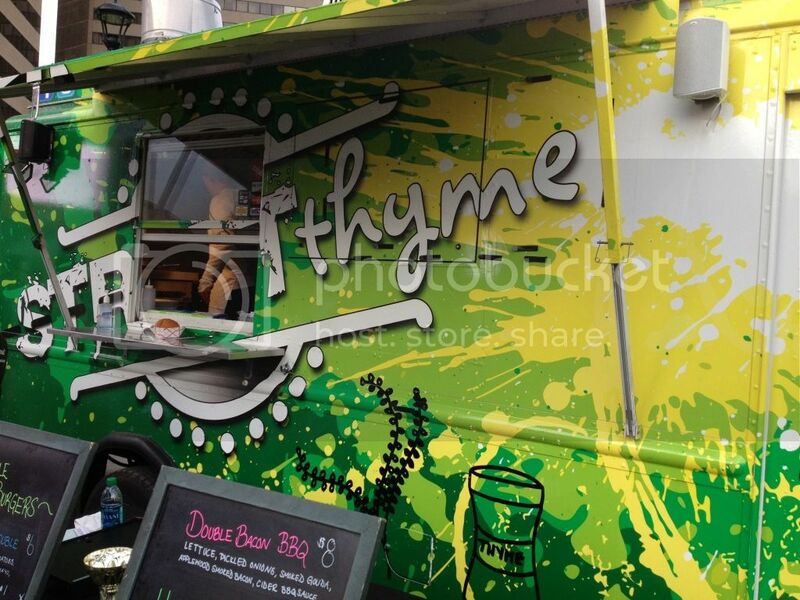 We had burgers from Street Thyme. I had actually tried this truck before one other time when they visted our work. 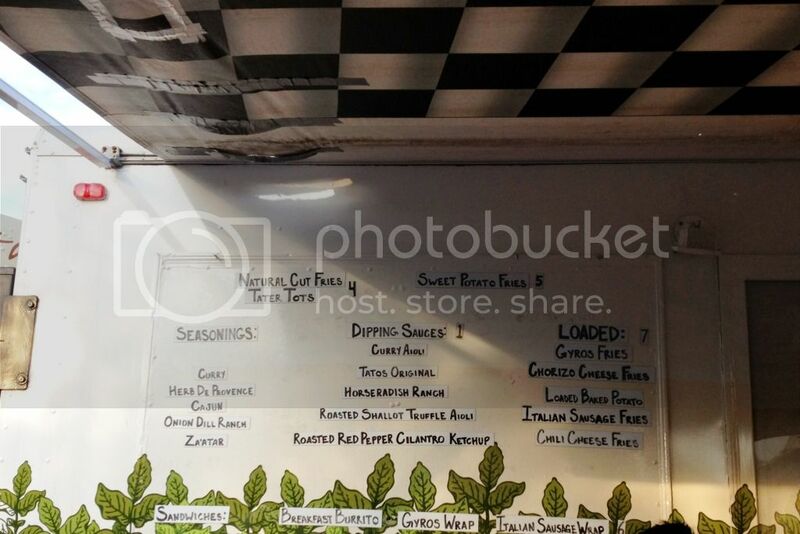 They serve gourmet burgers on a fast casual budget and use local meats from Carfagnas. They also serve unique flavored milk shakes (which they were out of by the time we got there). We tried the Broad St Blue (on the left), which typically includes caramelized onions, thyme roasted tomatoes, pork belly, danish bleu cheese and a thyme aioli sauce. We also tried the Double Bacon BBQ (on the right) which typically includes applewood smoked bacon, pickled red onion, house made cider BBQ piled on two juicy patties and a toasted bun. They ran out of some of the ingredients (including the bacon!!) so I was kind of bummed that we didn't get the full experience of our sandwhiches. The last time I tried this truck I got the State Street Standard which included sliced onion, marinated tomatoes, arugula, thyme aioli and american cheese. It was pretty amazing, so I am sure these would be super amazing if they included all of the ingredients. They were good, just not as super amazing as I remembered them to be. 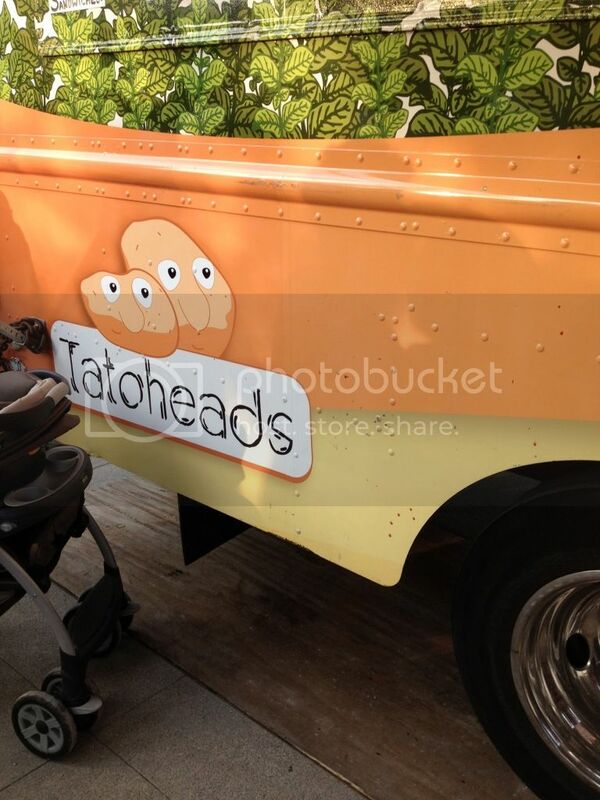 We also tried the truck Tatoheads. 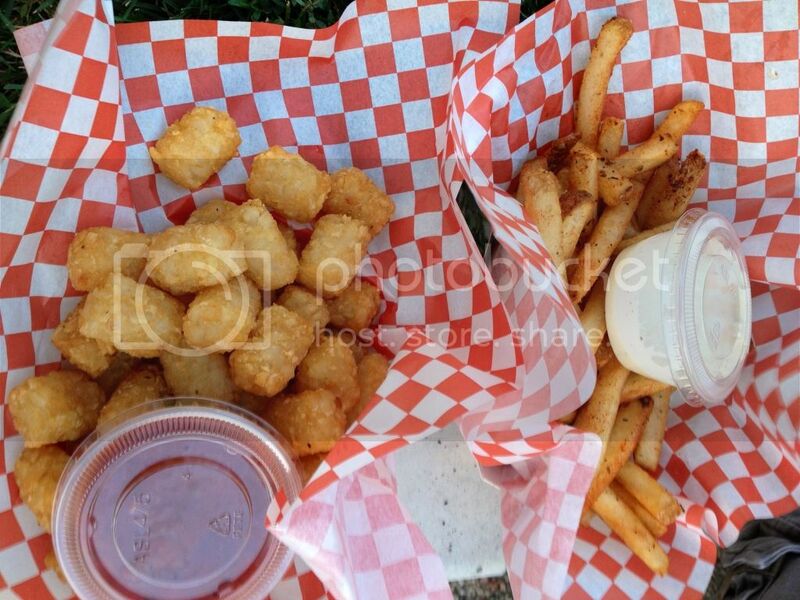 This truck serves natural cut fries, sweet potato fries and tater tots with different seasonings and dipping sauces. I was so super excited to try this truck as I have never tried it before and I am a huge fan of tater tots. We tried the tater tots with roasted red pepper cilantro ketchup, and the natural cut fries with cajun seasoning and tatos original dipping sauce, which I believe was a combination of horseradish and ranch. The tater tots were A-MAZ-ING! and I really loved the roasted red pepper cilantro ketchup. The natrual cut fries were also good, but I don't really care for horseradish, so I wasn't really a fan of that dipping sauce. If you do like horseradish you would really like it though. This truck was great, but we had to wait in line for almost 45 mins, and then wait another 30 mins for our order (they were really behind due to the amout of people at the festival). Overall the festival was a lot of fun. The trucks were great, but there were just too many people which made the lines too long. There were a ton of trucks I still want to try and I am still going to try and hunt them down and try them. 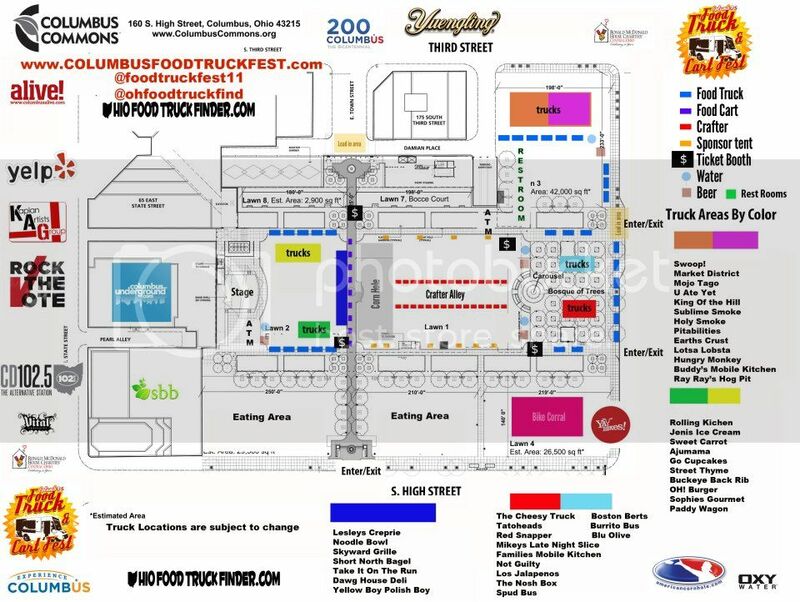 There are other festivals that hopefully I can find them at, and there are also a lot of trucks at the Columbus Commons on Thursday afternoons during the lunch hour, so hopefully I can stop by sometime and try out some other trucks. 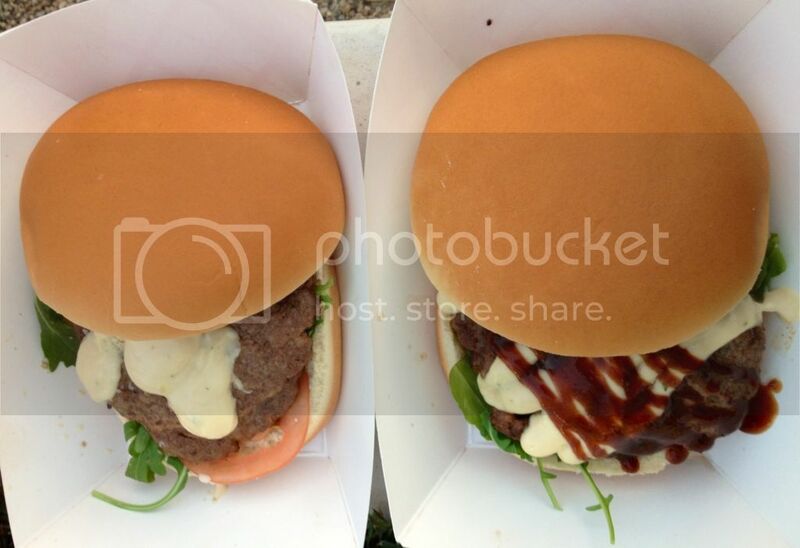 I'll keep sharing my favorite food truck finds as I am able to try them. As for next year's Food Truck Festival, I will probably go again, but I might try and get down there a little earlier. It would probably be good to get there around 2 - 4ish, to miss the lunch crowd but beat the dinner crowd. Can't wait for next year!